English novelist, historian and science writer Herbert George Wells (1866–1946) abandoned teaching and launched his literary career with a series of highly successful science-fiction novels. The Time Machine was the first of a number of these imaginative literary inventions. First published in 1895, the novel follows the adventures of a hypothetical Time Traveller who journeys into the future to find that humanity has evolved into two races: the peaceful Eloi — vegetarians who tire easily — and the carnivorous, predatory Morlocks. After narrowly escaping from the Morlocks, the Time Traveller undertakes another journey even further into the future where he finds the earth growing bitterly cold as the heat and energy of the sun wane. Horrified, he returns to the present, but soon departs again on his final journey. While the novel is underpinned with both Darwinian and Marxist theory and offers fascinating food for thought about the world of the future, it also succeeds as an exciting blend of adventure and pseudo-scientific romance. 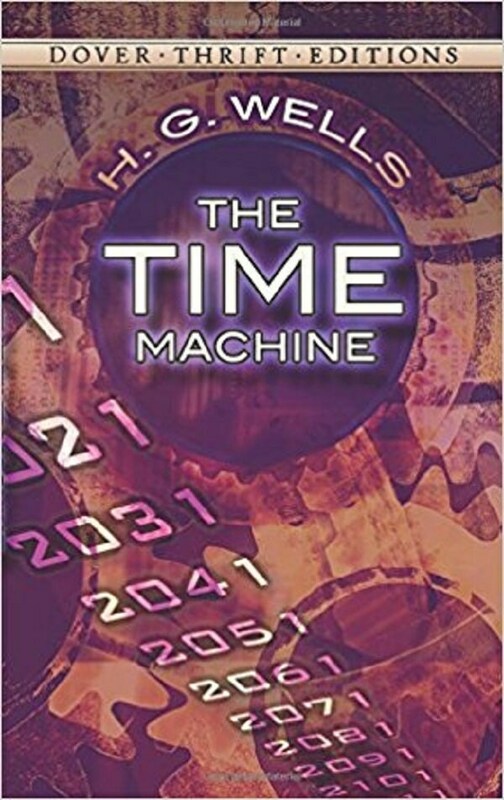 Sure to delight lovers of the fantastic and bizarre, The Time Machine is a book that belongs on the shelf of every science-fiction fan. English novelist, historian and science writer Herbert George Wells (1866-1946) abandoned teaching and launched his literary career with a series of highly successful science-fiction novels. The Time Machine was the first of a number of these imaginative literary inventions. First published in 1895, the novel follows the adventures of a hypothetical Time Traveller who journeys into the future to find that humanity has evolved into two races: the peaceful Eloi -- vegetarians who tire easily -- and the carnivorous, predatory Morlocks. A pioneer of science fiction, H. G. Wells (1866-1946) wrote thrilling adventures about time travel, space exploration, alien invasion, and scientific experiments gone awry. His tales of obsession, revelation, and discovery remain compellingly readable and relevant.